r) HILLSIDE: An elegant, grade II listed house with five bays of decorative red brick and a Tuscan porch. Hillside was built in 1724 and was the farmhouse of West Side Farm. 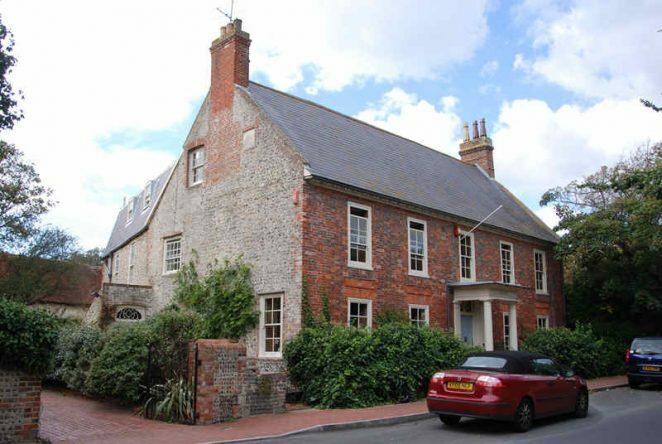 A listed gazebo at the rear looks out over the cobbled garden wall towards Falmer Road, and was built in about 1822 as a look-out for coaches from Lewes on the new Falmer Road. There is a second listed outbuilding at the rear of the house.